Figures 43 and 44 show front and rear views of the finished wheel. 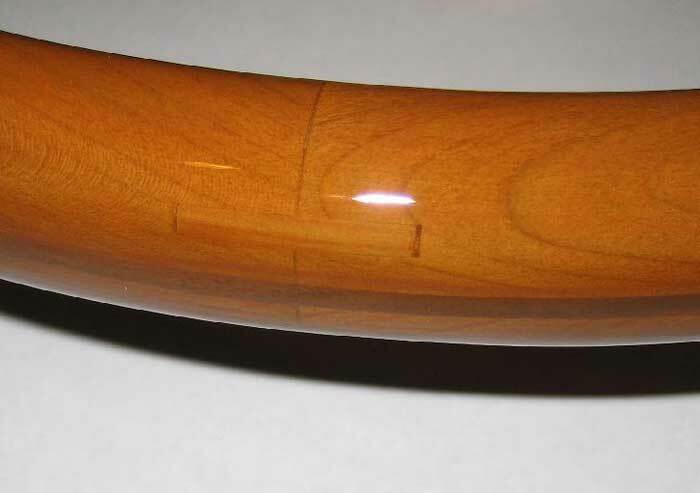 Figure 45 is a detail shot of the joint again highlighting the spline element. Sadly the pictures don't do the shine justice as it's really deep and clear with just the slightest hint of amber. Finally finished, it's time to quaff a couple adult beverages and look back over the effort! I spent a total of about 23 hours on the project (see breakdown below). Having never done a project like this before, I can definitely see where to save time should I have the desire to build another. Regardless, I am very satisfied with the finished wheel. I can say without hesitation it was worth the time and effort because no one else will have a wheel exactly like mine and that means something to me. I'm also completely satisfied that the finished wheel looks like it could have been on the car from the factory, albeit perhaps as an extra cost option. I definitely met all of my objectives and thoroughly enjoyed the process. 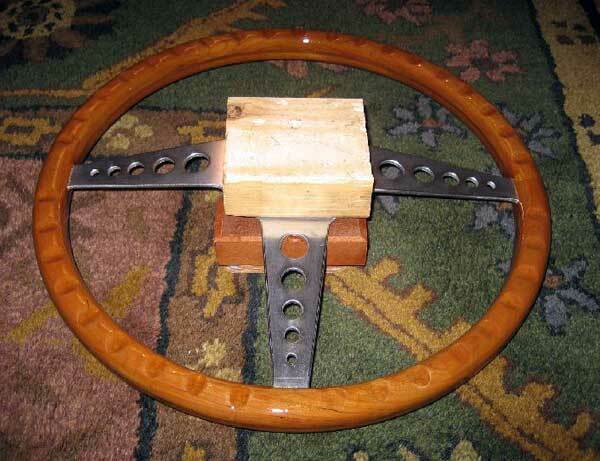 I recommend such a project to anyone considering it – it's not terribly difficult, only a few tools are necessary, and the satisfaction obtained cannot be duplicated by simply buying a store bought wheel. I already had all other materials and equipment such as West System epoxy, Gorilla Glue , Sandpaper, router bits, router, jigsaw, block plane, etc. Hope you enjoyed this article and if you have any questions please scroll down and leave your comments below! 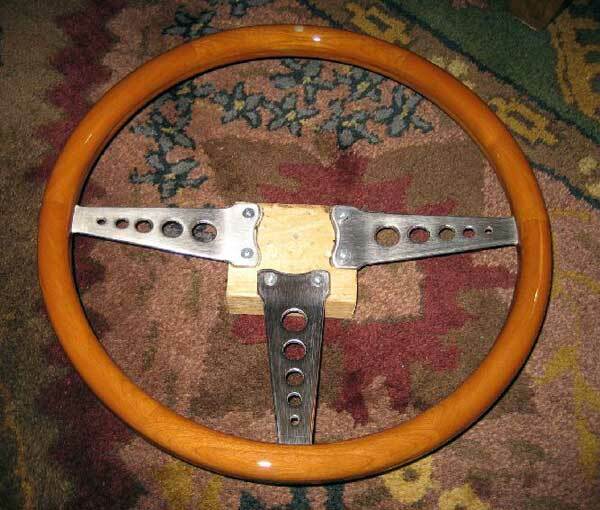 Comments on "DIY Wood Steering Wheel: Part 6 The Finished Product & Conclusion"